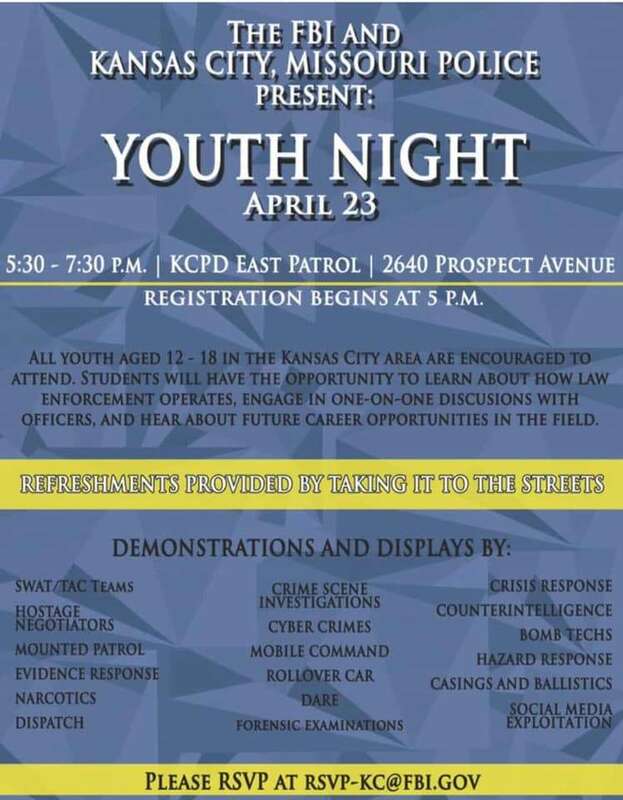 All youth ages 12-18 in the Kansas City area are encouraged to attend Youth Night. Students will have the opportunity to learn about how law enforcement operates, engage in one-on-one discussions with officers and hear about future career opportunities in the field. Refreshments will be provided.